Are you looking for the perfect holiday gift ideas for women in your life? One of my students once told me that his dad’s advice on gifts for women was: Never something with a plug. Depending on what the plug belongs to (a vacuum cleaner vs. an e-reader), that probably isn’t bad advice. But sometimes we could use more suggestions. Do you want to see them embrace body, soul, and self-love? This inspired guide has plenty of options for gifts for women that promote self-love while exemplifying how much you love the recipient. So shop on — for your loved ones and you! Be Yourself Paperweight ($36) • Want to remind a young woman in your life just how important it is to follow her own voice? Pick up this pewter paperweight (made in Rhode Island) that reminds her to always be herself. The Gratitude of Lacking Nothing Necklace ($55) • What happens when you realize that you actually lack nothing that you need? Anything becomes possible. Remind your loved one of her power with this beautiful sterling silver charm necklace. Feel More Better Shirt (prices vary) • With messages that declare everything from Not Photoshopped to You Be You and I’ll Be Me, these stylish, positive t-shirts of various styles project just the right message. They’re one of the best gift ideas for women of all ages. Four Seasons Love Mugs ($98) • If you have a tea or coffee lover in your life, opt for this set of four beautifully hand-painted ceramic mugs that celebrate the changing seasons while professing your love. These handmade beauties were made by artists in Vermont. 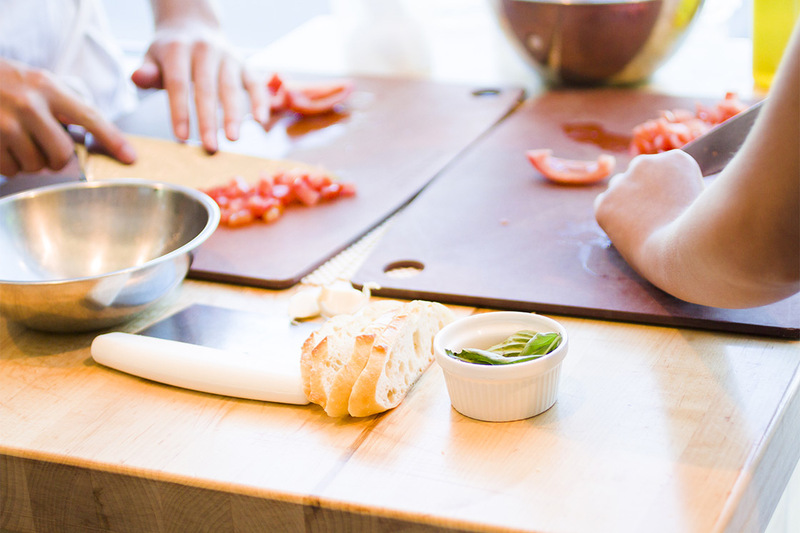 Cooking Class • Spark creativity, self-care, and nurturing with a gift certificate for a cooking class. Try your local farmer’s market, cooking supplies store, or continuing education program to find options. Karina Dress (prices vary) • With a tagline: “dresses for every body”, these beautiful dresses that are designed and made in New York make every woman feel stylish, unique, and beautiful. Give her a dress that loves her body so that she can, too.